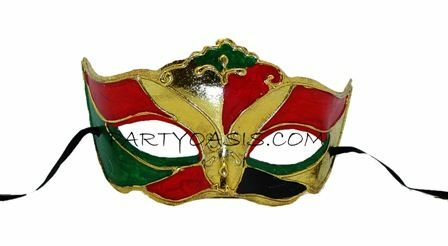 Traditional venetian eye mask is made out of paper mache that is decorated with acrylic color and gold metallic detail. Perfect as a part of Carnival, Halloween, or Masquerade Ball. Mask has two ribbons for wearing.